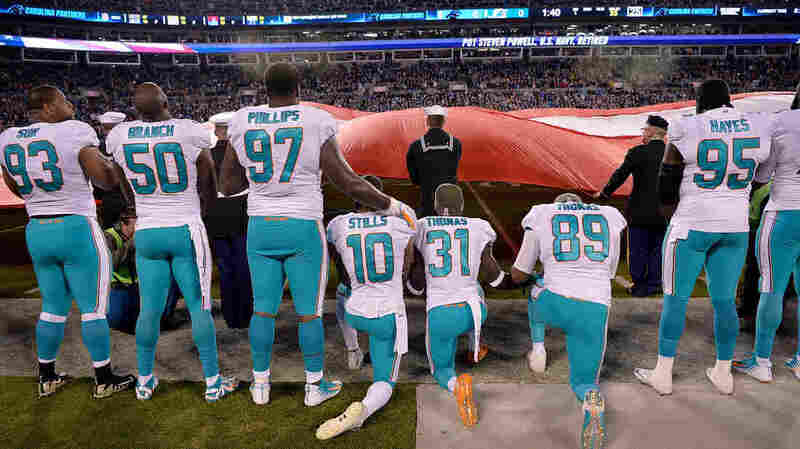 NFL, Players Agree To Temporarily Halt Enforcement Of Anthem Protest Rules The NFL and the NFL Players Association have agreed to temporarily suspend enforcement of new rules requiring players to stand during the national anthem while discussions on the policy continue. We’re suspending players now for protesting social injustices? The shooting of unarmed Americans at the hands of the state? Really? That’s where we are now? Good to see the NFL owners remain committed to employing rapists, domestic abusers, and bigots, but won't hesitate to suspend players for speaking out on human rights. My take: This is simply the Dolphins codifying the NFL policy. I would be stunned if any player is suspended, particularly four games. Also don't think any player will kneel this year.